Hi everyone, I hope you had a Happy Easter! I am so thrilled to share my Super Gains Pack Female Box for this month! I am especially excited because this is the first month that Super Gains Pack is doing a male and female version of their box, and also the first month that they have partnered with DedFit Apparel. This was the best Super Gains Pack I've received so far! To get 10% off of your first Super Gains Pack, use my code NOEXCUSEGIRL10. Omg, I loved almost everything in this month's Super Gains Pack female box, but a couple of items really stood out to me. Of course, the super cute tank top from Dedfit Apparel was my favorite. I was just so excited to be receiving a tank top that I can workout in. I normally buy my workout clothes on sale, as they can be so expensive. To be able to get a workout tank on top of everything else in this box was amazing. If you are wondering if it is worth the spend to order a Super Gains Pack, this tank alone makes it well worth it! Another item that I was thrilled to get in the Super Gains Pack female box was the Bear Essentials For Her Multivitamin from Eat The Bear. I take a multi-vitamin every day and happen to be almost out of mine, so I was really excited to get this in my Super Gains Pack! Multivitamins are one of those supplements that definitely differ between male and female versions. This is one great example of why it's great that Super Gains Pack decided to customize their boxes for men and women! 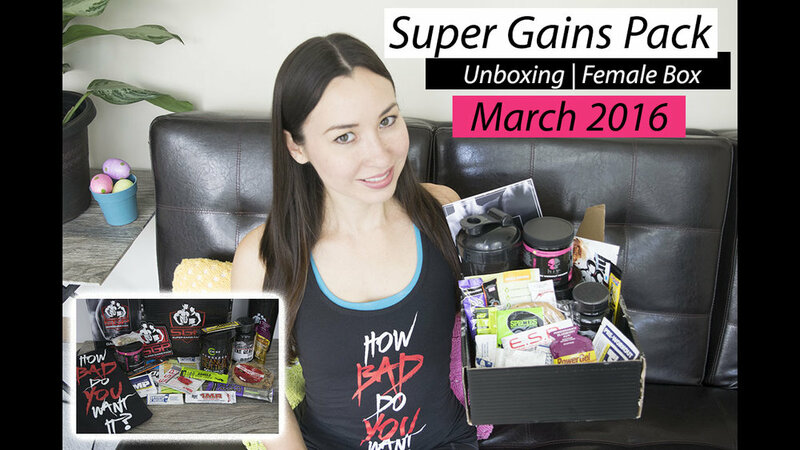 If you want to see all of the items that I received in my Super Gains Female Box, watch my YouTube video below. If you like it, please support me by subscribing on my YouTube channel!